Walt Disney (NYSE:DIS) is one of the hottest names in the market right now, and for good reason. While the iconic firm has dominated traditional media, the entertainment landscape has increasingly shifted toward the streaming arena. That left Disney stock in technical limbo over the last several years as Wall Street pondered its next move. However, the company’s Disney+ streaming service left observers with little doubt as to management’s intentions. They’re going after sector leader Netflix (NASDAQ:NFLX) with guns blazing. After the Disney+ announcement, DIS stock jumped 11.5% last Friday. On the following Monday, shares built on the spike rally, adding 1.5% in value. Not only that, bullish volume levels hit multi-year record highs. That fact sets this rally apart from others in the past. Investors genuinely believe that Disney stock will finally make good on its potential. It’s hard not to see why. As I and others have argued, DIS enjoys a massive, enviable content umbrella. Undoubtedly, one of the main draws for Disney+ is its price point. At $6.99, this dramatically undercuts Netflix’s monthly subscription charge. Not only that, Netflix raised prices for its services this year. Therefore, the Magic Kingdom’s announcement comes at an awkward and disadvantageous time for the streaming giant. Obviously, the markets feel the same way. While Disney stock launched toward the moon, NFLX shares absorbed a sizable hit on Friday. The volatility wasn’t nearly as bad on Monday, but Netflix nevertheless did not enjoy a positive session. But are NFLX shareholders shaking in their boots? I doubt it. Although Disney+ represents a shot across the bow, management’s pricing strategy is risky. Low prices are naturally good for consumers, and usually good for the issuing company. However, context matters. In this case, Disney doesn’t need to attack Netflix on pricing. As I mentioned earlier, the company enjoys a massive content umbrella. Therefore, Disney should aggressively compete on this platform. 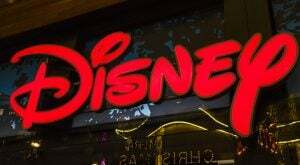 Moreover, both Disney and Netflix offer inexpensive options relative to traditional TV packages from AT&T (NYSE:T) or Dish Network (NASDAQ:DISH). The scale is small enough so that the average consumer can easily afford both streaming options. Eventually, I expect pricing for Disney+ to rise, which should benefit DIS stock longer term. Like millions of Star Wars fans, I eagerly watched the teaser trailer for the final segment of the iconic saga. No matter how the movie plays out, Disney will likely rake in record-breaking revenues, providing another boost for DIS stock. But what shareholders must really love is management’s plans for the franchise. Launching Disney+ wasn’t just a matter of attacking Netflix, although it’s doing exactly that. Rather, it’s also about injecting new life into its marquee entertainment brands. Not only does this keep the brands relevant, but it also sets up future motion-picture projects. Here’s what I mean: while everyone awaits the ninth and final episode of the Star Wars saga, Disney+ will showcase The Mandalorian. This is the first live-action Star Wars TV series, which can take this science-fiction universe into limitless avenues. If initial responses to The Mandalorian’s teaser trailer are anything to go by, Disney stock has a massive winner waiting in the wings. After a few seasons of this TV series, the audience may hunger for another feature film. Therefore, the company can leverage Disney+ to pump out Star Wars movies but without causing fatigue. Essentially, this is a green light for DIS stock. One of the biggest strengths for Netflix is that it features edgy content. On several occasions, I’ve had friends and colleagues tell me to join the streaming service so that I can watch Narcos. Showcasing the Colombian drug trade during the 1980s, Narcos is raw and gritty. It appeals not only for its storyline but also for the fact that for most of us, we’ll never get close to the cocaine industry. In a way, this show provides us an avenue to explore our darker ambitions legally. Disney+, while it’s a content powerhouse, will not take many content risks. Their service will appeal to the widest demographic possible. In turn, this move will appeal to current and future stakeholders of Disney stock. As of this writing, Josh Enomoto is long AT&T stock. Article printed from InvestorPlace Media, https://investorplace.com/2019/04/things-to-watch-for-disney-stock-as-it-ventures-into-streaming/.